Are you sick of instant pot noodles and beans on toast yet? Struggling to know what to do with leftover food, or are you student funds so low you can’t afford anymore Dominoes? Here are 4 student meal recipes that you need to try now! They are super easy , healthy and quick to make - as well as very cheap too! This nice hearty meal is so easy to do. 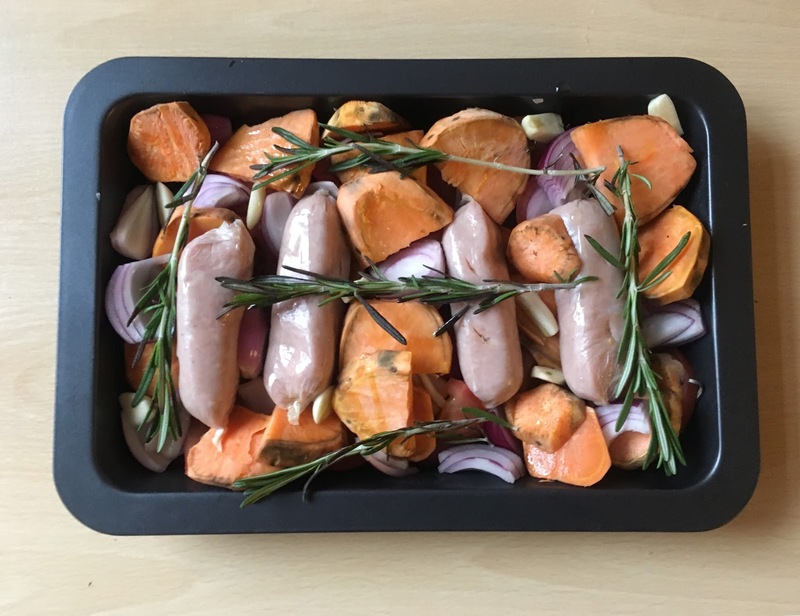 Take a tray and place inside four sausages, two sweet potatoes (peeled, sliced and have been warmed up in the microwave for two minutes), one sliced red onion, two sliced tomatoes, 3 cloves of garlic, 3 sprigs of rosemary and 3 tablespoons of olive oil. Next, roast the tray bake in the oven until the sausages and sweet potatoes are thoroughly cooked through. Tip: Freeze half of this in a Tupperware box and you have another dinner ready for another night! Pasta is everyone’s staple dinner at University, but tomato sauce with cheese can start to become quite boring so it’s a great idea to switch it up with this easy recipe. The method is simple. Bake a salmon fillet in a tin foil parcel with a dash of olive oil, two teaspoons of garlic powder and a few sundried tomatoes, whilst simultaneously cooking a serving of wholemeal pasta. Once the salmon is cooked through, add the salmon package as well as a handful of spinach to the freshly cooked and drained pasta. Autumn is here and it's great to have a bowl of warm and healthy soup. All you have to do is throw one roasted red pepper, one pack of cherry tomatoes halved, four tablespoons of ground almonds, one clove of crushed garlic, one tablespoon of olive oil, one teaspoon of paprika, one vegetable stock cube and 100ml of water into a blender. Once it is blended together, just heat it through in a saucepan and serve! 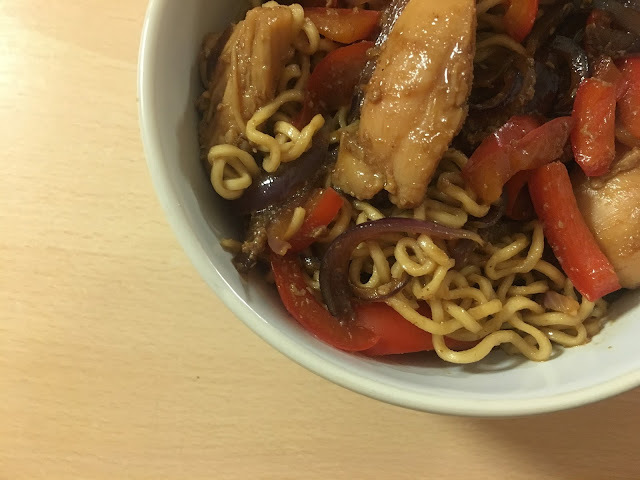 Noodles are a great meal to eat at University as it is a super quick dinner to create if you’re in a rush or simply can’t be bothered to stand at the cooker for ages! First of all you need to marinade one diced chicken fillet with two tablespoons of honey, two tablespoons of soy sauce, two cloves of garlic and two tablespoons of water for about 3-4 hours in the fridge. Then when you’re ready to cook your stir fry, fry off your vegetables and then add the chicken pieces along with the marinade juices that are left. Once your chicken is cooked all the way through, start to cook your noodles and once they are cooked add them into your stir fry to finish the meal off! Hopefully you enjoy cooking and eating these quick and easy student meals. Let me know in the comments section if you try any of these meals out, and make sure to comment any tips or recipes for students when cooking at University! The sausage tray bake looks amaaaziinng! !